Authentic Gaming has announced it has signed a deal with Multilotto, to provide them with their suite of live casino games. Multilotto.com is a secondary lottery operator that enables players to participate in the biggest and most exciting lotteries from around the world using a computer and mobile phone. Under the deal Multilotto will have access to live Roulette tables streamed from 4 Premier resorts around europe. The Platinum Casino at the Radisson BLU Hotel in Bucharest. Casino International Batumi at the Hilton Hotel (Georgia). Casino Bucharest at the Intercontinental Hotel. Live Streamed European Roulette, with classic and french table layouts. The games come with one of the most comprehensive playing interfaces that suit beginners and the most experienced players. “We are delighted to be working with Multilotto and to provide them and their players with our market-leading suite of live casino games and products. 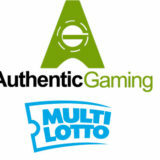 Multilotto and Authentic Gaming share the same ethos – taking a traditional land-based game and delivering it to online players via a new, smart and sophisticated, state-of-the-art product and service offering. 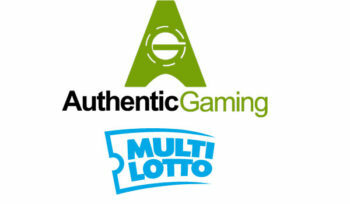 “Strengthening our game portfolio with live casino products from Authentic Gaming is a major win for us.